I CAN FLY TO DUBAI! Most of you might have already heard or been to Petrossian since they are known for bringing a luxurious caviar experience to your table. However, I bet that not many people tried the Petrossian boutique at LAX, Tom Bradley International Terminal. 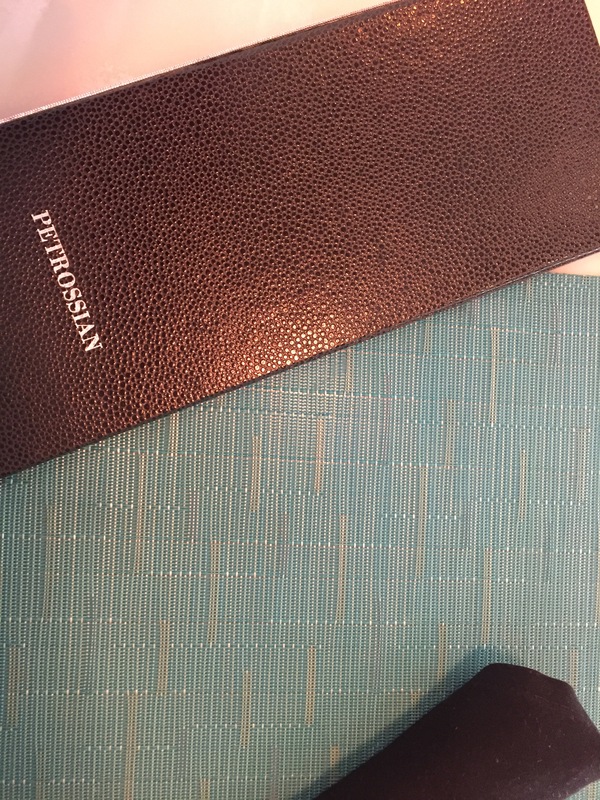 What makes this Petrossian different from its other locations is the quickness of quality dining and the high quality champagne and vodka that can easily get you drunk right before your long trip to Europe or even further destinations. Last week, I was traveling to Istanbul which is a 13 hour flight – I can already hear your sorrows for me-. Before the flight, I had a half an hour wait and that’s how I ended up at Petrossian. Petrossian is famous for it’s high quality caviar and fine selection of champagne throughout all of their locations. They also have other restaurant locations in New York, Los Angeles – West Hollywood and Las Vegas – Belaggio. In addition to restaurants they also have cafes and boutiques which are in New York, Los Angeles (West Hollywood and LAX), Paris, Brussels and Dubai. Even though I have already been to Petrossian West Hollywood, I think their LAX location is more convenient and relaxing. As soon as you pass the passport control, you can easily find the Petrossian boutique. With a friendly staff, tasty cocktails and high quality foods it offers, you can surely enjoy a comforting experience before your long trip. I had the Classic Smoked Salmon with caviar and a nice sparkling Rose. After the meal I continued with a special Petrossian cocktail which had dried caviar garnish on top. The drink was really nice except for the dried caviars in it. Regardless, I think this is the best place in LAX international terminal. Even for one drink it’s surely a spot you need to check out. Just make sure not to miss your flight after having couple of delicious drinks and good time!